How much gun powder have you eaten today? In our household we just say no to nitrates. Before I researched for this blog, I knew they were bad, just not how bad. * A known carcinogen that causes DNA damage, increased cellular degeneration that causes higher deaths in Alzheimer's, Parkinson's, and diabetes. We are about to take our first flight as a family. Fueling your body with healthy food is especially important during travel but can be quite difficult given the pricey food options at the airport. 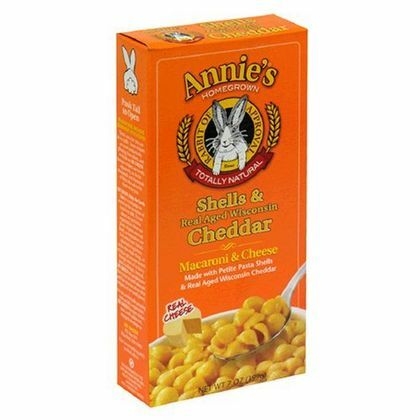 Annie's Organic Mac and Cheese. Is it healthy? Not really. And it's loaded with sodium (even the "less sodium" version still has plenty), but the ingredients are pretty pure and there's no artificial dyes, or scientific sounding stuff compared to its conventional counterpart. Annie's makes several varieties. I prefer the one made with whole wheat noodles because it's higher in fiber than the others. On sale you can get it for around a buck. I don't buy taco sauce or BBQ sauce because it's usually full of HFCS and other junk that shouldn't be there. Using Trader Joe's Organic ketchup as my base I whipped up with some darn good taco sauce this week. It is important to use organic ketchup. Tomatoes are one of the "Dirty Dozen" and contain one of the highest amounts of pesticides. Also, most conventional ketchups contain HFCS. Not my favorite topic, but it is such a media buzz, and is one of the first things I eliminated from our diets, so I feel I should put it in a nutshell for my readers. It's almost impossible to find any prepackaged food that doesn't contain HFCS and it even disguises itself under other aliases (ie; corn sugar). Strangely enough people think they are avoiding sugar and being more healthy when they consume HFCS, however, it contains higher fructose amounts than regular sugar. Ironically it was introduced 30 years ago and in the past three decades childhood obesity rates have tripled. "Table sugar is a combination of fructose and glucose which are both simple sugars produced naturally by plants. The combination is called sucrose. Corn syrup is mainly glucose produced from corn starch. There is no naturally occurring fructose in corn which is why corn isn’t sweet. But, in the 1950’s, scientists found a way to convert the glucose in corn into fructose. The resulting concoction is 90% fructose (and therefore very very sweet). That fructose is mixed with the corn syrup, which is glucose (and not sweet), until a 45/55 balance is reached (fructose being the higher percentage). And, presto, HFCS! Later, in the 1970’s, the process was scaled and we saw the birth of the HFCS boom." Why is HFCS in practically everything we consume? The government heavily subsidizes corn, it's cheap, and acts as a preservative. What's so bad about HFCS? * Sometimes processed with Mercury-Mercury is toxic. * It's not natural. Your body cannot break down HFCS as it can more natural sugars such as honey. I strongly encourage you to make an effort this new year to avoid all things HFCS. It is doable. Make an effort to read labels and chose brands that do not contain the ingredient. Even if it's not possible all the time at least you reduce your exposure! New York Times "A New Name for High-Fructose Corn Syrup"
I've yet to jump on the meatless Monday bandwagon. In fact ironically the one time a week we eat chicken or beef usually ends up being on a Monday. Since it's Monday and our dinner is meatless, I figured I'd go with it. Adding the beans into this pasta dish gives your family an extra dose of much needed protein. 1. 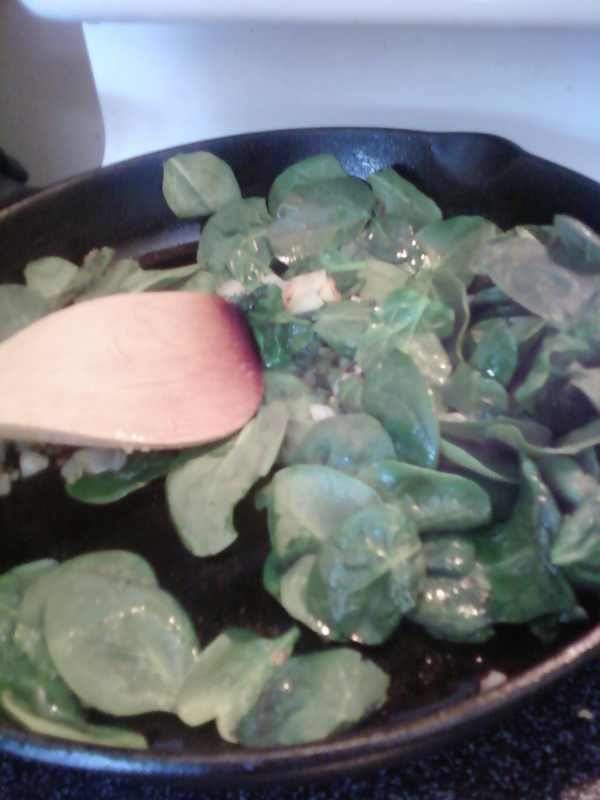 In a medium skillet, on medium, heat about 2 T EVOO for 2 minutes. Add 2 cloves chopped garlic, and the onion. Heat until browned, stirring frequently. 4. 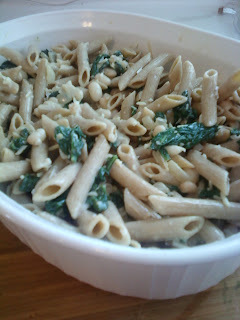 Add spinach mixture, desired Parmesan, and beans into cooked pasta and stir. 5. Cook covered @350 about 20 min or until heated through.